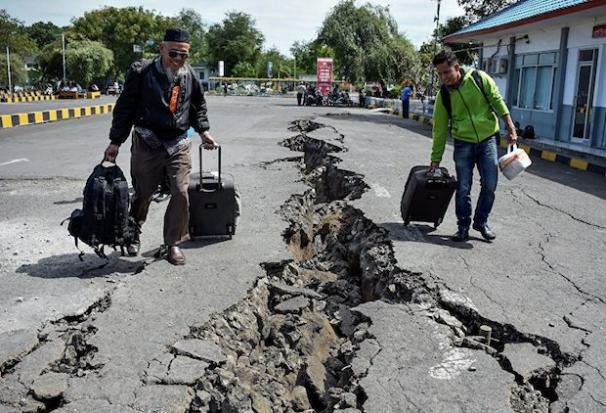 A strong 6.2 magnitude earthquake struck eastern Indonesia on Tuesday, the US Geological Survey said, but there was no tsunami warning or immediate reports of damage. The offshore tremor struck at a shallow depth of eight kilometres (five miles), about 100 kilometres southeast of Kupang on the Indonesian portion of Timor island, the USGS said. A string of deadly earthquakes that rocked Indonesia’s Lombok island this summer killed 555 people. Indonesia, one of the most disaster-prone nations on earth, straddles the so-called Pacific “Ring of Fire”, where tectonic plates collide and many of the world’s volcanic eruptions and earthquakes occur.